Have you been considering jetting off to the Algarve? There's no need to think twice about it; picture the sun, sea, sangrias and stunning Algarvian coastline and straight away you'll have your answer. When flying into the Algarve, passengers land at Faro Airport, which is the 'gateway to the Algarve' and is located approximately 4km away from Faro City Centre and about another hours' drive away from most of the Algarve's main resorts, such as Albufeira, Lagos and Vilamoura. A taxi from the airport into these resorts typically costs around 40 or 50 Euros, with transfers being much cheaper at anything between 15-30 Euros depending on the operator. Word of advice - book your transfer online a few days before your flight to guarantee yourself the best possible deal. The airport is typically known to be extremely busy in high season, which is officially classed as March-November with the busiest months being June, July and August. In 2012 alone, the airport handled a total of 5.67 million passengers and ranked 68th busiest airport in Europe after Naples Airport inItaly (67th) and before Ibiza Airport in Balearic Islands in Spain (69th). There are only 6 airports in mainland Portugal as it is a fairly small country, with a total population of around 10 million people. The closest airport to Faro is actually in Seville, Spain which takes around 2 and a half hours to reach by car. 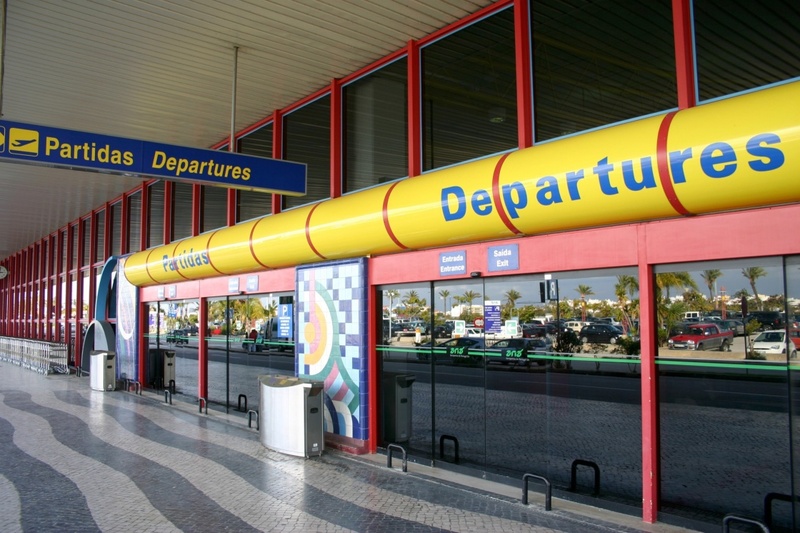 The majority of flights arriving and departing from Faro Airport are run by budget airlines; Ryanair, EasyJet and Jet2 are the top three in this category and most major UK airports run multiple daily flights to Faro Airport, including ones such as Manchester, Leeds, London Stansted, Edinburgh, Glasgow, Liverpool and Birmingham. Irish airports that run flights to Faro include Dublin, Knock, Kerry and Cork, and Derry in Northern Ireland. Other airlines that arrive and depart from Faro daily include the Portuguese airline of TAP, Monarch, flythomascook and Thomson Airways. As for departures, flights from Faro Airport jet off to countries all over Europe, including Germany, Sweden, The Netherlands and Poland, among lots others. One thing's for sure; arriving in the Algarve is an easy, fast and convenient procedure and within an hour or two of stepping off the plane and into the sun, you'll be unpacking in your hotel and beginning your blissful break.